'Hobbs and Shaw' will tell the story of the reluctant alliance made between the characters in order to confront a British international terrorist named Brixton, played by none other than Idris Elba. The cast is completed with 'The Crown' actress Vanessa Kirby, and 'Baby Driver's Eiza González Reyna. The film will be released on August 2nd this year. 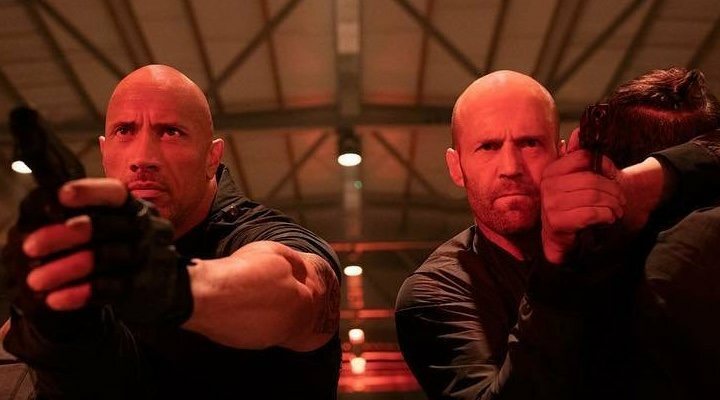 Hobbs and Shaw are not original 'Fast & Furious' characters; The Rock joined the franchise in the fifth film as Hobbs, a security agent and American diplomat, and Statham joined in the seventh as the villain, only to redeem himself in the following film. Despite the fact that, with this film, the franchise will be reaching a grand total of nine 'Fast & Furious' films, the saga shows no signs of slowing down. 'Fast & Furious 9' and 'Fast & Furious 10' have their release dates set for 2020 and 2021 respectively. Justin Lin, director of several of the installments in the saga, is signed on to direct these two new films as well. For now, Dwayne Johnson has announced that he will not be participating in the ninth film, but that does not mean to say we won't be seeing him in the tenth.